We are at the forefront of a new evolution in consciousness in which an experience more astounding than you can imagine is determined by what you do now! Our world is enveloped with a distinct formative energy which is imprinted by our thoughts, feelings, and beliefs. This naturally occurring energy is spiritual in essence and has the ability to heal us on physical, mental, and spiritual levels. I AM Teas is a manifestation of this concept. 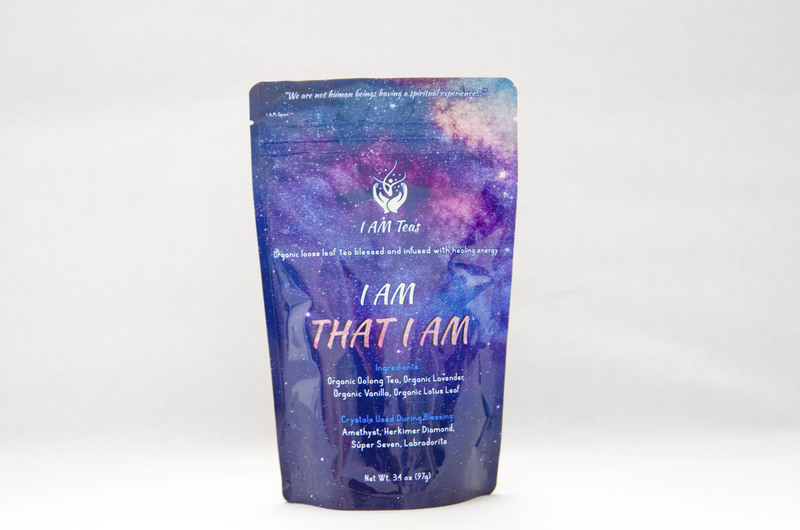 I AM Teas was created to shine light upon our individual, spiritual path. Each tea is meditated upon, blessed and infused with healing energy to bring clarity and enlightenment to your life. I AM Teas is designed to help you create your best human experience.